Fans of the Egg McMuffin have long wanted the option to get breakfast after 10:30 a.m. Fans of the Egg McMuffin and Sausage Biscuit have long wanted the option to get breakfast at McDonald's after 10:30 a.m. But offering both the breakfast and lunch menu was considered logistically impossible, given the tight kitchen spaces of the restaurants. Still, it's an option the chain is eyeing more seriously at a time when people's eating habits are changing — particularly those coveted customers in their 20s and 30s known as Millennials. "We know, as an example, that breakfast on the weekend cut off at 10:30 doesn't go very well," Jeff Stratton, head of McDonald's USA, said in an interview. Stratton declined to provide any details on how McDonald's would adjust kitchen operations to make breakfast later in the day. "Well, we're just beginning. ... We're just taking a look at it," he said. 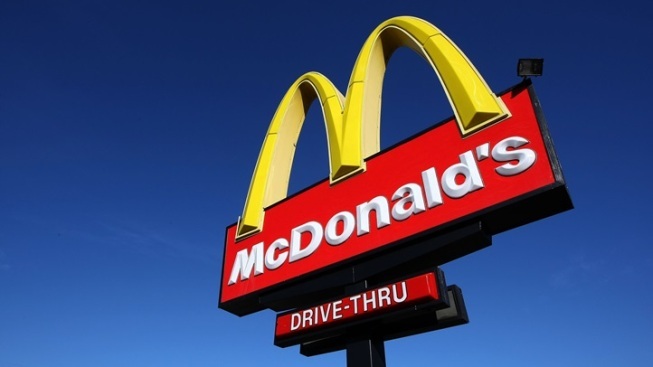 A representative for McDonald's, Lisa McComb, said after the interview that there are no tests currently in place for the extended breakfast hours. McDonald's has long entertained the idea of serving breakfast throughout the day. But the chain has been inching closer to making the idea a reality as it faces heightened competition and slumping sales. Last year, for example, the company began offering an "After Midnight" menu at select locations. The menu, available from midnight to 4 a.m., consisted of a limited mix of breakfast and lunch items so kitchen operations wouldn't be overwhelmed. The push to make breakfast outside normal hours also reflects how McDonald's is working to keep pace with shifting habits. In particular, executives have noted that customers increasingly want foods personalized to their tastes and schedules. As for extending its breakfast hours, McDonald's is known for treading extremely carefully when discussing any tests or potential changes. Such matters are considered sensitive in large part because they would require the support of the company's network of franchisees. In the U.S., about 90 percent of the company's more than 14,000 U.S. restaurants are run by franchisees, who bear the responsibility of training employees and buying new equipment to accommodate any changes.